Brrrr its been getting nippy outside these last few weeks hasn't it? I've been layering up myself so of course I've needed to add some cosiness to Aria's outerwear. But, I'm pretty sure every mum will have encountered the moment when the babe is asleep but you need to get them into the pram ready to go out. How on earth do you manage or even contemplate putting a jacket on a sleeping baby?! Well, Babybundle have just the perfect product for these occasions; their Snuggleblanki hooded travel blanket. 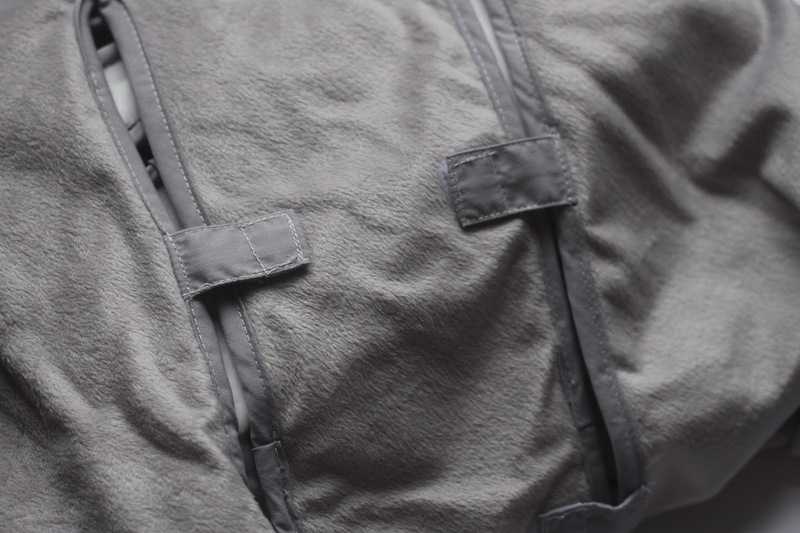 The Snuggleblanki has been designed with handy openings to fit 3 or 5 point harness straps so you can move baby from the pram or car seat to shopping trolley whilst they are cosy and (fingers crossed) still sleeping! 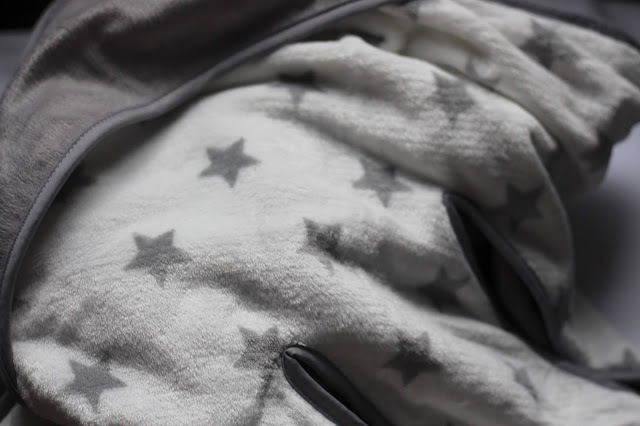 Once you've popped the pram or car seat straps through the Snuggleblanki then wraps around the baby and can be loosened to suit the temperature as needed. Its suitable from birth and as its lightweight so it can be used all year round. The blanket comes in a neutral grey colour which suits our style and Aria's outfits. Babybundle suggest it can be used in car seats,pushchairs, shopping trolley baby seats and baby gyms. 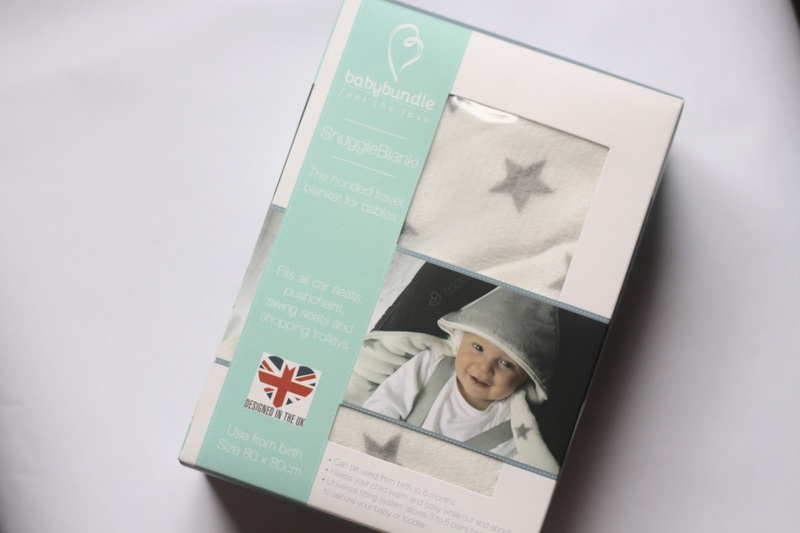 The Snuggleblanki currently retails on the BabyBundle website for £25.49 - I personally think its a pretty good price as we've used it daily since having it a month or so. This week we've started to use the next part of our Silvercross pushchair and having this blanket has been fantastic; its meant that if Aria falls asleep after a feed and we need to go out I can pop her in the pushchair, secure her in and wrap her up without needing to wake her to put her jacket on. 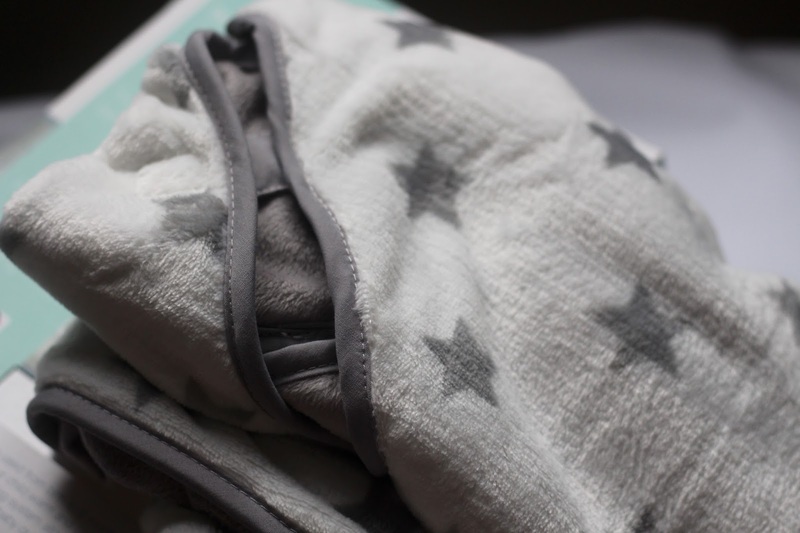 I'll be recommending the Snuggleblanki to my mum friends now that the weather is getting colder and colder each day- a top essential in my opinion! 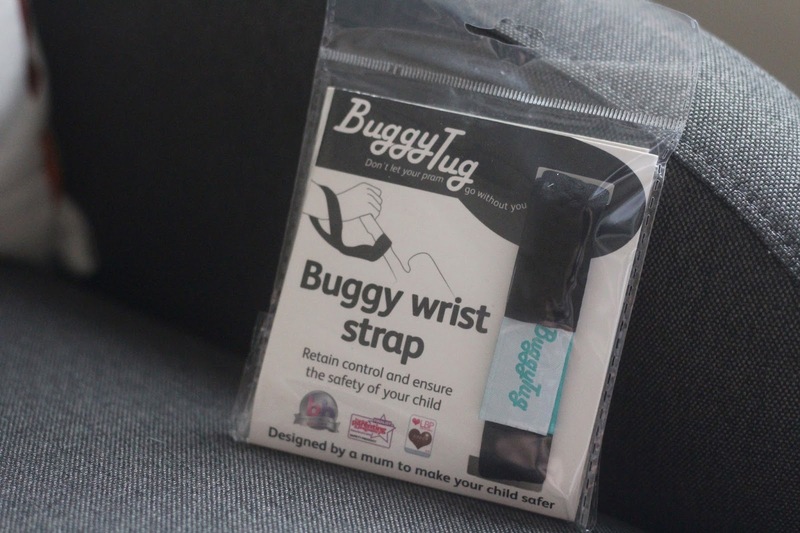 You might have also seen me link to BabyBundle in my most used baby items post back in November; I mentioned the Buggytug wrist strap as one of our essentials. Babybundle have kindly sent me a wrist strap to give away to a reader- if you'd like to enter then head over to my twitter for more information! Check out the BabyBundle site here for more baby essentials! What's your top baby travel essential?